Not Just Smart Chicken — Smarter Chicken! 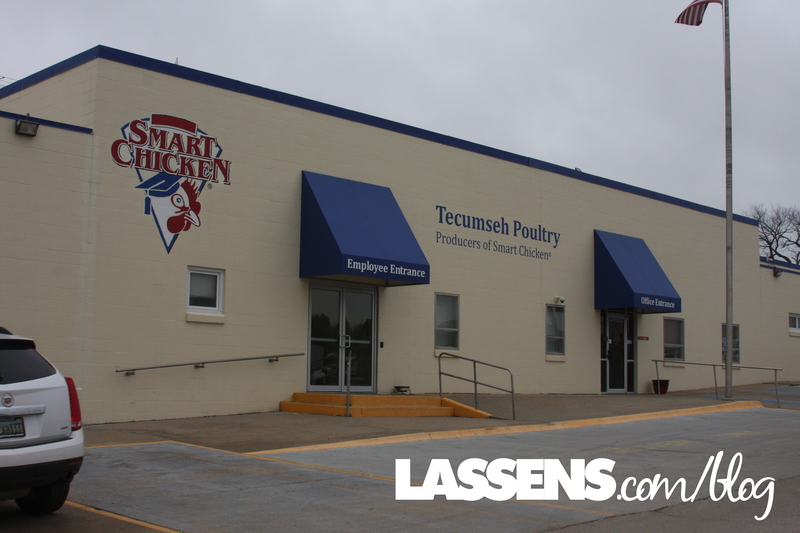 When we flew to Nebraska to visit the Smart Chicken Farms and Plants, we were in for an education! 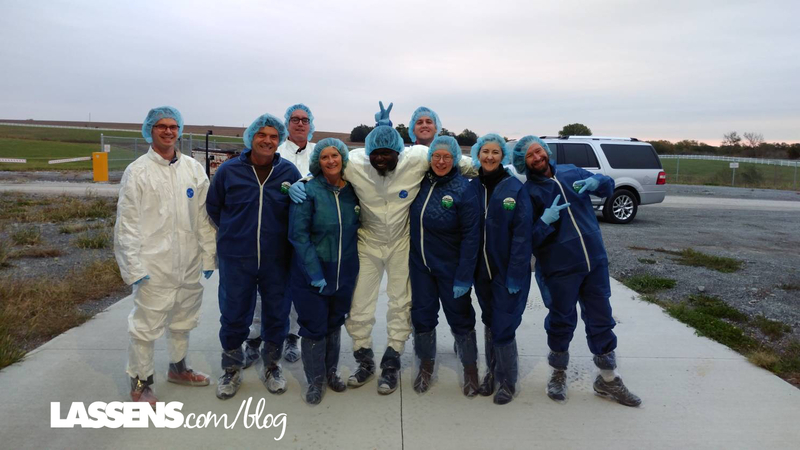 With all that I had heard about meat processing, I prepared myself to see things up close and personal, and I did. But I also learned how thoughtful and careful it could be. Back in the day — in the late 1990s — the founder of Smart Chicken went to Europe and tasted chicken that was more delicious that what he had tasted in the USA. So he toured facilities and learned that the European model’s key production difference was that their birds were air cooled. So he came back to Nebraska, determined to bring this model to America. Air cooled? What does that mean? Well, it means that the birds are air cooled. But let’s go back a few steps to get some background and context. We started by suiting up and visiting the Tecumseh Organic Farm, where the chickens are raised. Smart Chicken is extremely careful about protecting their birds from any biohazards, so we were just able to peek at the chickens through a window. The day was on the chilly side, and the birds were not interested in leaving their warm shelter to roam outside so we had to be content with at peek. Of course the Organic Chicken is fed only Certified Organic feed; Remember that organic is always non-GMO. 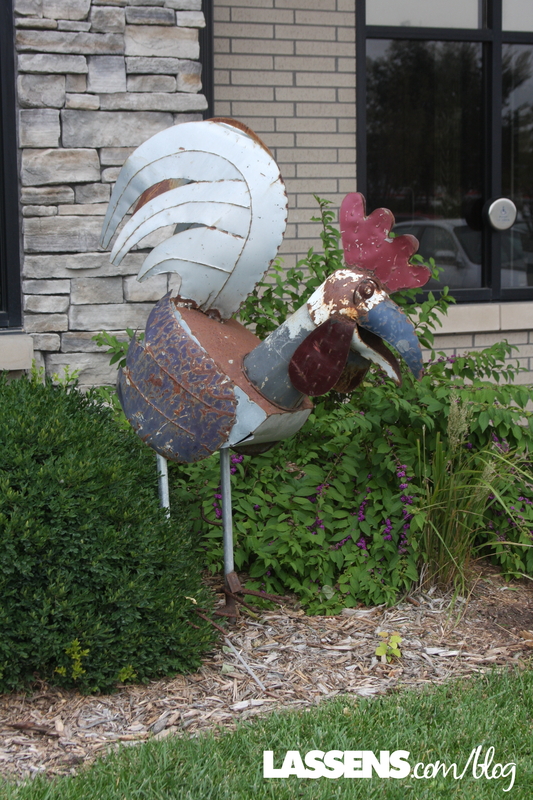 And the Smart Chicken folks are proud that they are located in the heart of the Midwest, where there is the largest natural underwater aquifer in the world. 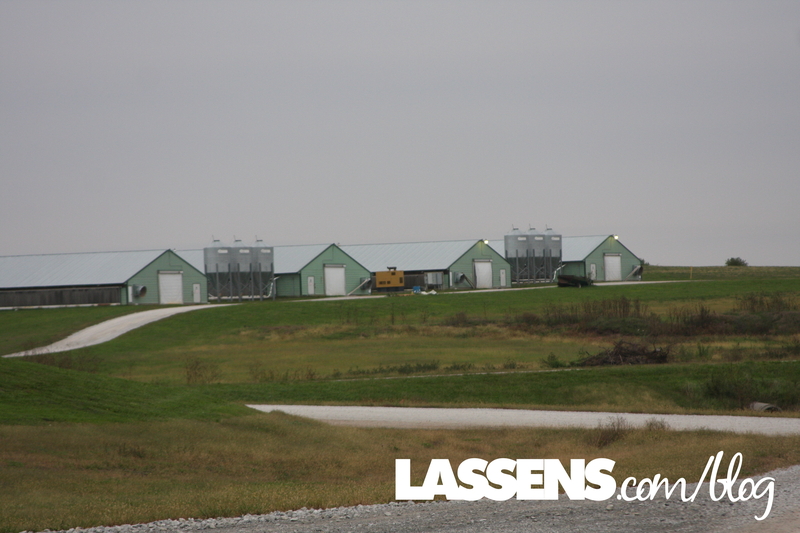 The grain in their feed is grown nearby, and they don’t bring grain in from across the country or from overseas, reducing their environmental footprint. The chickens are in houses where they are allowed to roam, have access to resting areas as well as the outdoors, and where they have sufficient space and the ability to engage in natural behaviors. In other words, they are not in individual cages as in factory farms. These standards are part of the Humane Certification that Smart Chicken has earned through the Humane Farm Animal Care Program. When the birds are 54 days old they are ready for processing. This is considerably longer (by about 9 days) than most commercial operations, who rely on antibiotics and growth stimulants (and that arsenic) to speed up the growth rate of their birds. Yeah, it’s time. 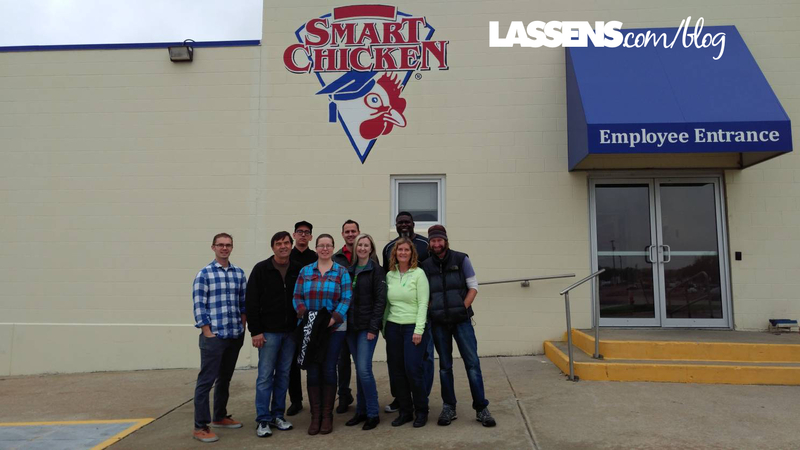 Smart Chicken was the first chicken producer in the United States to use Controlled Atmosphere Stunning (CAS) to ensure humane harvesting of all Smart Chickens. This method — also brought from Europe — uses CO2 to put the chickens to sleep prior to harvest. They use a blue light to calm the birds, then the CO2 induces sleep. And here’s the education: Most operations don’t do this. Their birds are hung upside down, fighting and fearful, and then stunned by an electric shock gun before harvesting. All the lactic acid and adrenaline coursing through the muscles makes for tougher, and often bruised meat. And it’s horrifying. I’m glad I didn’t have to see that. Twenty-eight minutes after the birds come in the processing plant, they have been harvested and cleaned and are ready for chilling. Yes, now all of your questions will be answered. And of course I need to contrast Smart Chicken’s model with what everyone else does. Smart Chicken is the only chicken company that is USDA Process Verified as Pure Air-Chilled, No Added Water. This is a question that I’ve had for a long time. Why do most chicken packages have something like “Ten Percent Added Water” on their labels? How do you add water to chicken? And why are there several ounces of water inside most packages of chicken, sometimes soaked up by packaging or hidden by colored wrapping? Well, here it is. Other chicken processors put the chicken in a cold water bath to cool the chicken. In the hour or so it takes to cool the chicken, that water is absorbed into the meat — up to 15%. Yes, fifteen percent (and you’re paying for it.) During that time, the composition of the meat is challenged which reduces the tenderness of the meat. The flavors are also compromised. And it’s a communal water bath, with added bleach to kill bacteria. But Smart Chicken uses that USDA Verified Air-Cooling Process. The birds are on a conveyor belt which travels through a chilling room until they reach the desired temperature. Yes, it takes longer, but the flavor is retained and not diluted — an end result of which Smart Chicken is extremely proud. And the taste difference is obvious. The birds are then taken to the Processing and Packaging facility, which is the only chicken producer in the United State with a Safe Quality Food level 3 Certification, which is the highest safety quality standard in the industry. That Certification is reflected in what we saw at the plant — a model of efficiency, safety, and quality. One thing that impressed me is that Smart Chicken processes to their orders so that the chicken is as fresh as possible. They don’t have extra product that is stored until an order comes in. 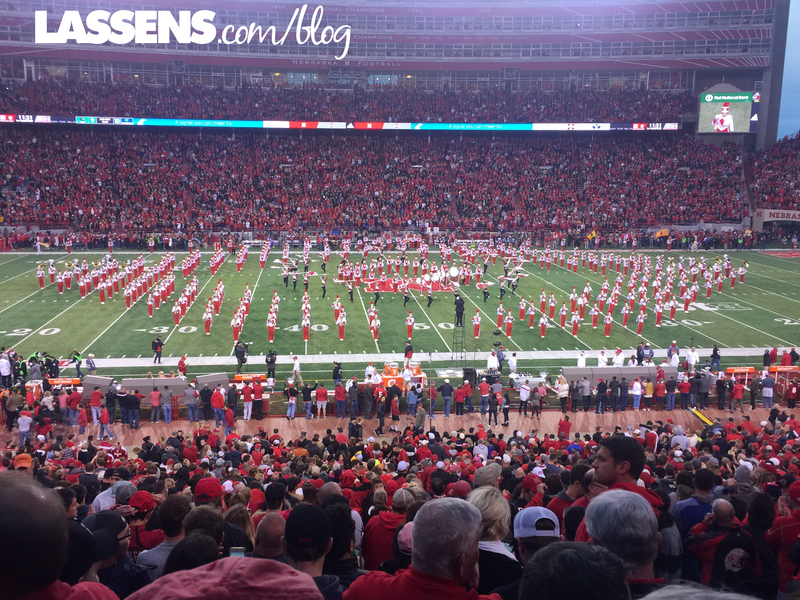 We were treated to a college football game on the last night — We saw the Cornhuskers in action! 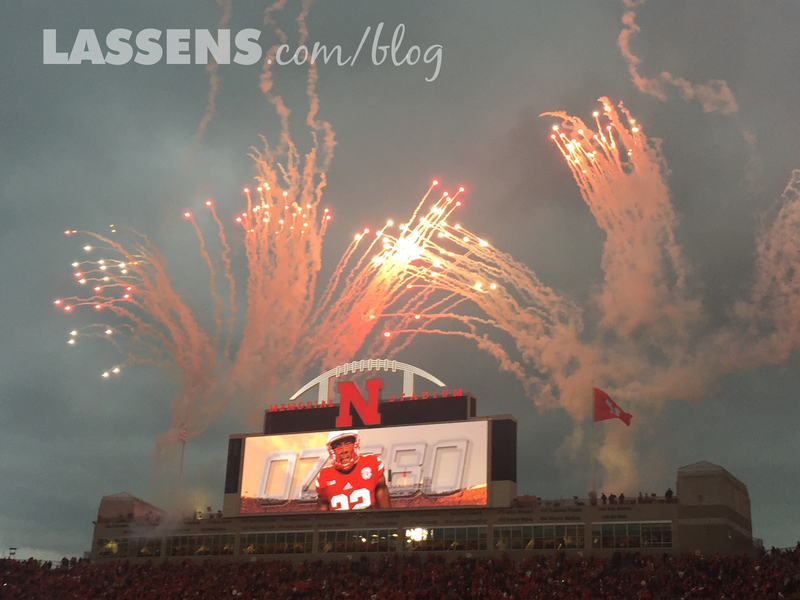 They take their college football seriously in Nebraska! (Just don’t ask about the score!) But I love me some Marching Band Half-time show. Thanks, Smart Chicken — it was quite an education! 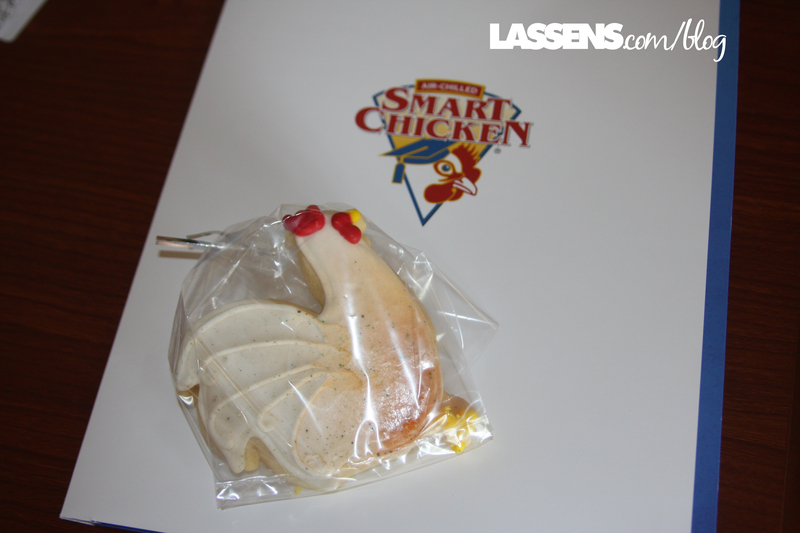 Pick up some Organic Smart Chicken at Lassen’s — you will taste the difference!